Spirit, enchanted or haunted dolls are used as a portal for human entities, djinn, djinnya, khodam, unicorn, pegasus, gnomes, elves, and other paranormal entities. These entities are learning the same as humans are on this Earth, and usually come to impart or share knowledge. They are not there to randomly grant wishes, although some of the higher Master Guides or other entities may do so occasionally. Remember that everything has a price, and whatever has been given to you will have to be repaid in kind at some time. Many people are apt to forget this in their haste to acquire this or that. 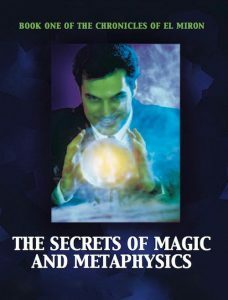 I have been fortunate insofar as over the last forty years or so I have been able to investigate the paranormal and have written many books on it. During this time, I have acquired many haunted or enchanted items that other no longer wish to keep. Some of these items and dolls have taught me much about the afterlife—that it exists is a fact. I know this by the number of spirits that appear in the house. We are also a spirit; the difference is—that for a short time on the earth plane, we are clothed by a body of flesh. Most of the spirits that attach to dolls or other items, such as a piece of jewellery, is because they want to share knowledge, or sometimes the interest is in learning about the different branch of metaphysics in which I am involved. Some of them simply wish to remain close to the physical plane and need to be shown how to return to the appropriate realm. But most are able to move back and forth between realms. The ones who wish to pass on knowledge are white light, highly advanced beings, and were part of the living beings on Earth. The Lord Jehovah was not only the creator of the past, but He is also the creator of the present, and He will be the creator of the future. Humans are composed of those four elements plus the subtle fifth, the Akasha Principle. However, the Djinn were formed from smoke and fire by the power above. These spirits were given to assist, to change, and to enhance our lives, as we see by the life of King Solomon. If we go way back into the very distant past, you will find that the different tribes of Djinn had a lot of interaction with mortal human beings. At that time, the Djinn were known to talk with humans, and to teach them as students. Like many of the other so-called mythical creatures, such as Fairies, Unicorns, and Dragons, the Djinn are also becoming quite close to humanity once more, and the Djinn who still exist are very rare, and a connection to them is highly sought after. Mortals do indeed consider themselves very lucky if they have a connection to one of the Djinn. You may be unaware that Haunted dolls have been recorded throughout our history and continue even today. There are even haunted dolls that are in museums. There are many famous people who own huge displays of haunted dolls, which are in their own museum collection. One known collector is an author by the name of Anne Rice. Why spirits choose dolls, we may never know. But it seems that dolls attract spirits. Maybe because of the human type looks, maybe because when we own them, they are loved and admired. One may never know, but it’s real and it happens. And what these vessels are seeking is someone who believes in them, someone with whom they can share their knowledge, or also learn from the person they attract to their vessel. The spirit may ask to be passed on to a new family, or a person, that may need their help or guidance. 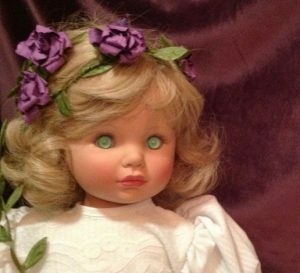 It is safe to say that many have had ghostly encounters with a spirit or haunted dolls. From all over the world, people have these encounters that prove to us, we are not the only ones here. If you are lucky enough to have such an experience, it may change your outlook on life forever. The veils between the dimensions are thinning, so that in the future, it will be common to communicate with deceased loved ones and other beings. If you are attracted to owning a spirit doll, please understand that your experiences will be different than mine. Each experience takes it own forms and actions, because each one of us is at a different level of development, so please handle your enchanted items with love and with care and always respect them, they are a living entity just like you. Show to you, full bodied apparitions, let you hear their disembodied voices, show you their spirit orbs, show flashes of light, show you swirls of smoke or fire, mists, you may hear knocking, you may hear footsteps, see shapes, you may have electrical disturbance and so on. If you walk through one, you will feel it like cold tingles that give you goose bumps. They can also help you with strengthening your psychic senses, increase your intuition, make your clairvoyance and clairaudience stronger or more developed. 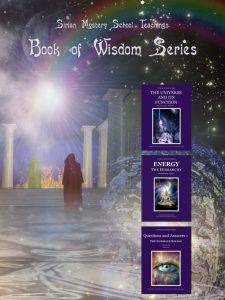 They can also attract positive energy to everything around you, explain intuitive healing to you, show you how to remove mental blocks that you may have, and offer you divine protection. 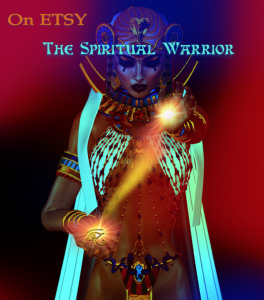 Some of the advanced ones can increase spiritual gifts, aid you in your meditation, scrying or divination, increase your mental power, create extreme knowledge and wisdom, and teach you the secrets of prayer.